The city of Pisa will soon have another tourist attraction – a 165-foot Ferris wheel – to compete in height with its famous 183-foot leaning tower. For three months this summer, the Ferris wheel will be temporarily installed in a former parking lot to test its popularity and appeal to tourists. However, it is already facing backlash from some locals, such as Italia Nostra. 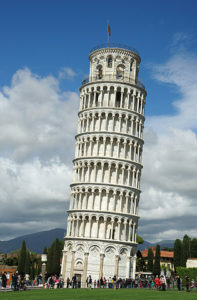 The conservation and cultural heritage advocacy group fears the attraction will clash with Pisa’s medieval landmarks like the leaning tower and the cathedral, both located in Piazza dei Miracoli, a UNESCO World Heritage site. From the top of the Ferris wheel, riders will get an aerial view of the leaning tower and the Mediterranean Sea. Pisa’s culture commissioner, Andrea Ferrante, announced the addition on state TV on February 26.